It is well-known that star Tamil hero Dhanush is turning director with Power Paandi. The movie, touted to be an emotional drama, features veteran Tamil actor Rajkiran as the main lead. 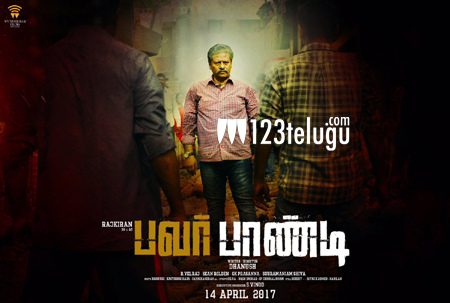 Today, Dhanush revealed that Power Paandi will be released on 14th April next year as a Tamil new year treat. Incidentally, 14th April also happens to be Dhanush’s mother Vijayalakshmi’s birthday. Apart from directing Power Paandi, Dhanush has also penned its script and is also producing it. Yesteryear heroine Nadhiya and actor Prasanna will be seen in prominent roles in the movie.